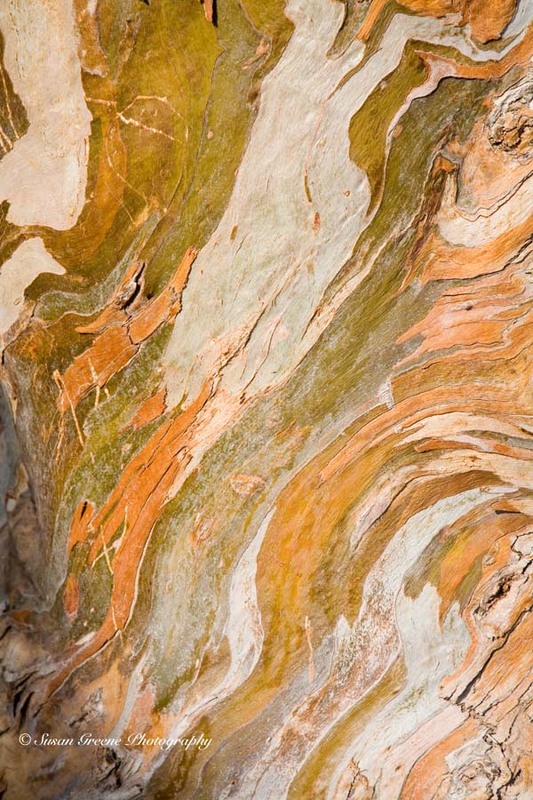 Patterns in nature come in many forms. 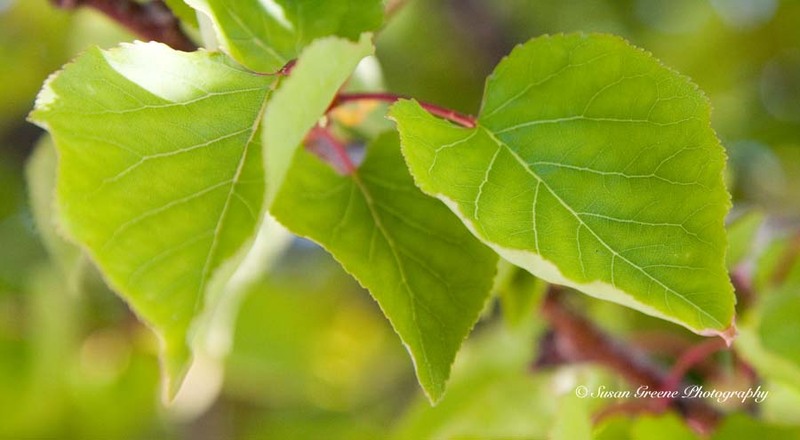 This week, I took the time to “be in the moment” when walking about and looking for natural patterns. I found them! 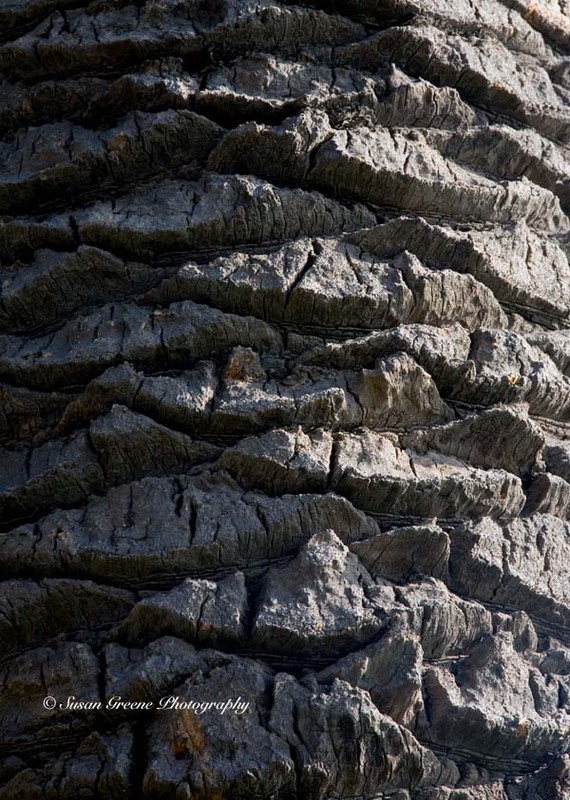 On a recent “photo walk” in Palisades Park, Santa Monica, the eucalyptus and palm trees are abundant and once I stopped looking around them and instead looked at them the beautiful design of their trunks became apparent. 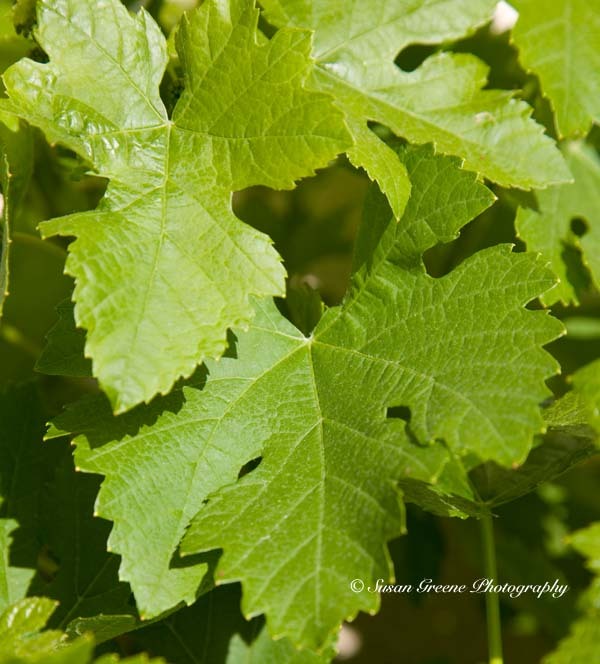 Next, the patterns in the leaves of the grape vines and apricot tree, which are just beginning their new cycle of growth, right in my own backyard. 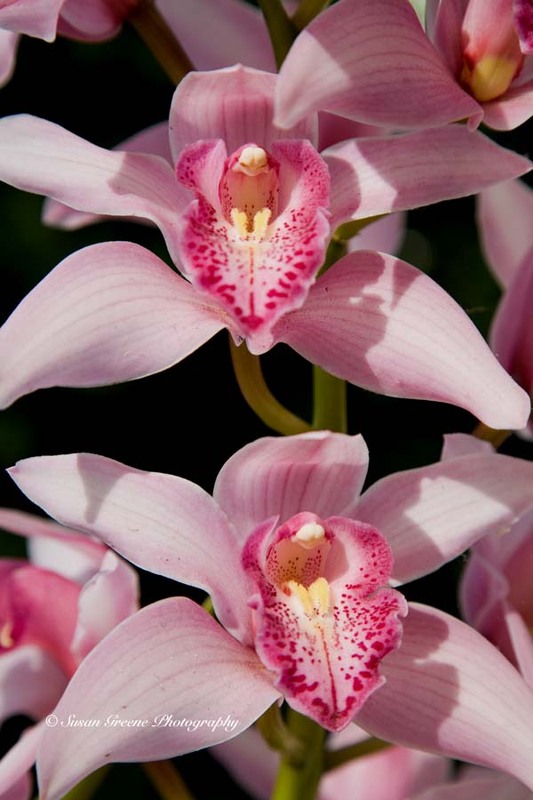 Twenty-four years ago this April, our family received a cymbidium orchid plant to celebrate the birth of our daughter (thank-you again backyard sister.) Every March and April since, it bursts forth with the most beautiful pink blooms which have an intriguing pattern in their center. 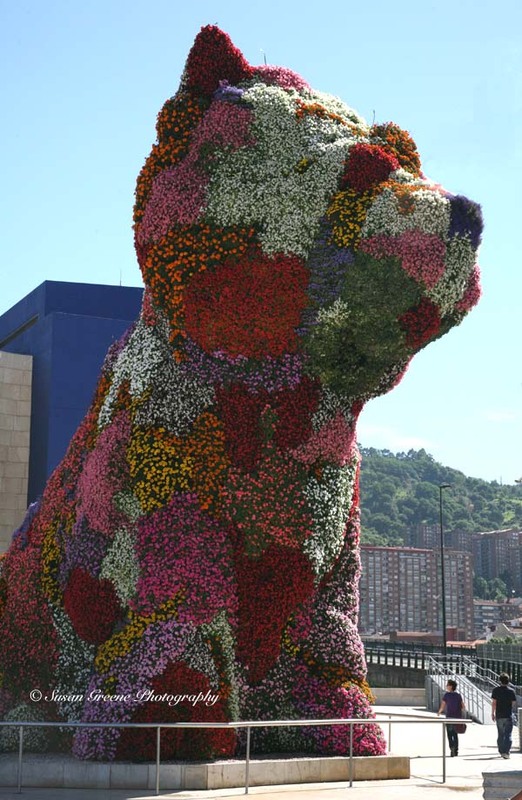 Sometimes, nature is used by man as a medium to create an art installation like the puppy sculpture at the Guggenheim museum in Bilbao Spain. 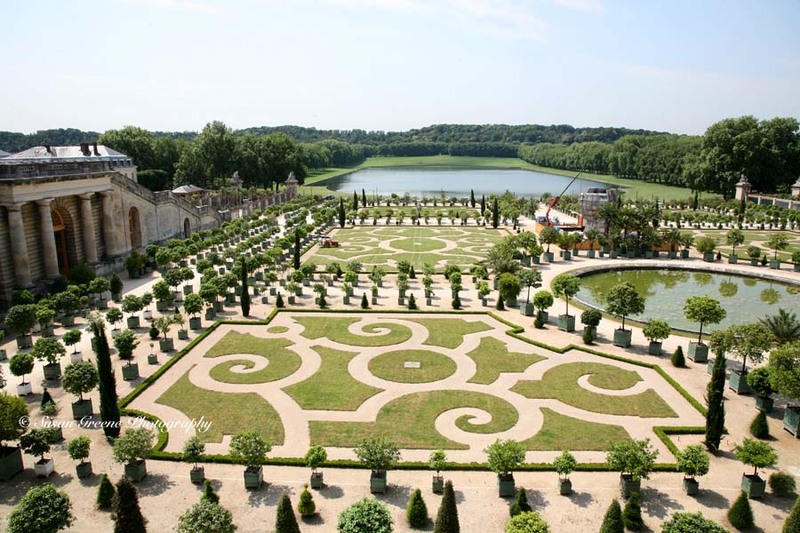 Or, nature can be tamed and formed into geometric patterns creating a grand and formal garden like this one at Versailles. The pattern possibilities of nature are great. I’m sure I can find more if I try this exercise again. It is helpful to capture with a purpose – for it’s through practicing your photography that you will improve and hone your craft. Having a project or a purpose in mind when you are going out to photograph, makes you ponder what you are trying to convey and the best way to capture your vision. It also can keep you from falling in to a pattern of always taking the same types of pictures – more on that next week. This entry was posted in Photography Tips, Weekly Wanderings and tagged by Susan Greene, cymbidium orchids, guggenheim museum in bilbao spain, nature, nature photography, palisades park santa monica, patterns in leaves, patterns in tree trunks, photography, plants, puppy sculpture Bilbao Spain, Versailles garden by backyardsisters. Bookmark the permalink. All of these images are breathtaking! There is diversity everywhere and these images are only proof that it is absolutely natural and part of life. Thank-you Melisa, glad you appreciated them. Here’s to diversity appreciation! I enjoyed your post. Beautiful pictures! We take so much for granted but looking at your pictures reminds us the beauty in nature. Thank you. Thank-you, sometimes it takes viewing in a different manner to admire the beauty all around us every day. I had fun with this.